Yes, that’s right! This game can also be used as a development tool for aspiring coders! 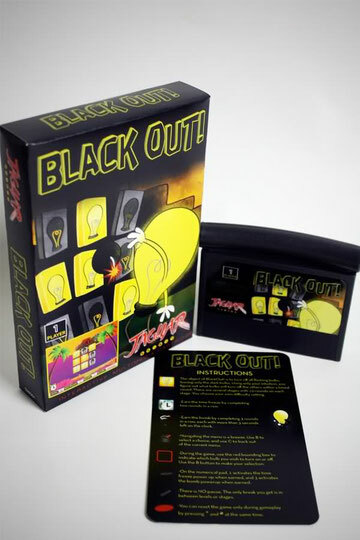 Printed in non-laminated uncoated cardstock similar to the original box style and designs used for old Jaguar releases. This release includes original Atari bags, white cardstock inserts, and game instruction card. Each box is numbered. 4+stages with over 40 levels total. Power-ups, a timer, pumping music by C-Trix, and some goofy extras. This game is more than just another lights out.